Welcome To the World of Branding & Advertising! We are pleased to announce our two newest hires: Alyssa Petroplus, Client Strategist, and Amy Meyers, Senior Media Director. As the Media Director, Amy is responsible for the planning, negotiation, placement and monitoring of all Apple Box Studios’ client media – both traditional and digital. 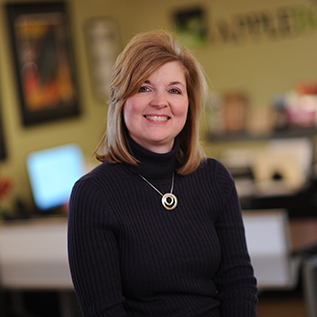 Amy brings 25+ years of experience to Apple Box Studios having worked closely and extensively with clients such as UPMC, Highmark Blue Cross Blue Shield, PA Department of Travel and Tourism, Chatham University and The Warhol Museum. She is a graduate of the University of Pittsburgh. 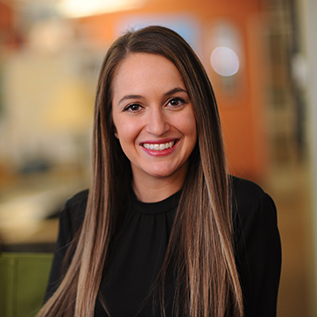 Alyssa brings her experience in public relations and writing to provide strategic concepts and copy writing for our clients. She also assists in the development of new and existing ad campaigns. Before joining Apple Box Studios, Alyssa was the Regional Representative and Information Specialist for Governor Earl Ray Tomblin, WV. Alyssa is a graduate of West Virginia University. Welcome to the box, ladies! We are so excited to have you! Join us in welcoming Alyssa & Amy on our Facebook page.